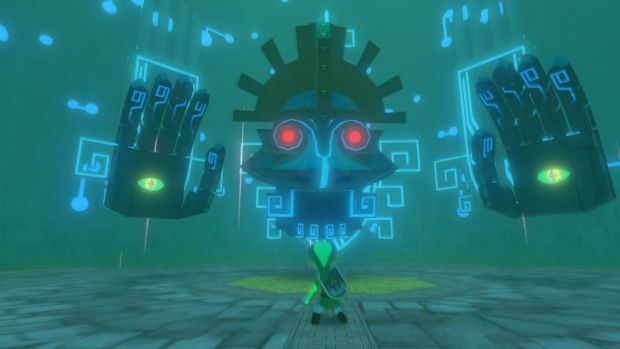 The Legend of Zelda: The Wind Waker is easily my favorite Zelda game in the series -- a not altogether uncommon opinion, now that many years have passed and most people grew the Hell up over the "kiddie" visuals. 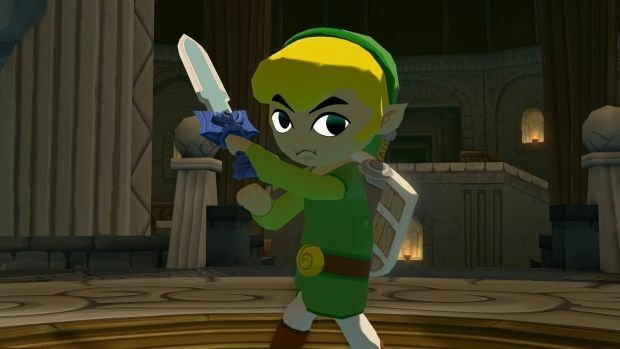 One of the most original, charming, and funny entries in the series, The Wind Waker was different enough to truly stand out, but smartly retained everything that makes a Zelda game what it is. Given its remarkable art style, not to mention the inherent timelessness of cel-shaded graphics, the decision to remaster the game for a high definition console seems like a no-brainer. It makes total sense to see Zelda's answer to Waterworld grace the Wii U as its very first official HD remaster. Oh, and in case you were wondering, it's still a lovely little game. The Wind Waker debuted on the GameCube in 2002. Its visual style is crafted with such perfect simplicity, however, that the HD coat of paint effortlessly obscures any suggestion of it being over a decade old. From the moment the title screen appears, The Wind Waker HD delights with its bright, crisp, colorful visuals. It's the perfect kind of game to re-release in HD -- something that already looked fantastic, and was held back purely by the constraints of standard definition. 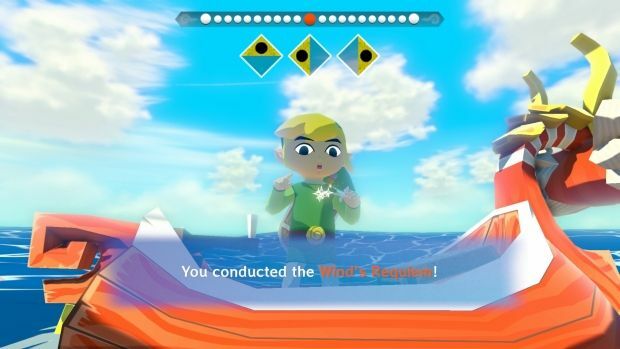 Unlike games that perpetually push the notion of "photorealism" and subsequently look pitifully dated when resurrected in future generations (the original Killzone springs immediately to mind), the elegant cartoon stylings of The Wind Waker lend it a timeless visual quality that raises a huge grin when gawped at for the first time in 1080p. 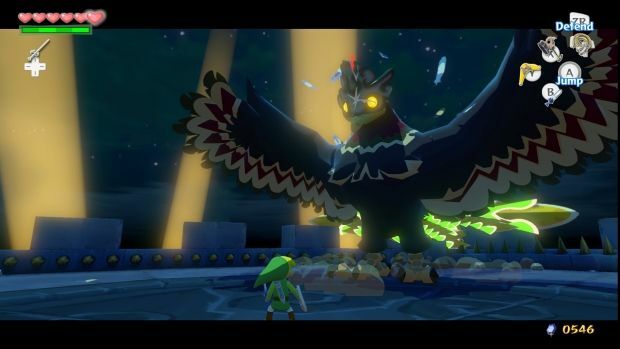 To conclude this shameless fellating of The Wind Waker's art style, and its suitability for high definition, Nintendo made a fantastic call on this one. Though visually timeless, the GameCube classic has aged in other areas, particularly when it comes to its basic interactivity. This is an issue exacerbated by the Wii U GamePad, the analog sticks of which are a bit too twitchy for Link's movements and have a tendency to overreact to the slightest of nudges. It doesn't help that the combat itself is a little bit clunky these days, while the need to travel across vast quantities of ocean -- helped nonetheless by some excellent background music -- can feel like something of a chore these days -- at least until you get the Swift Sail. There are some gyroscope controls thrown into the mix, because obviously there are, and they're maybe 50% effective at what they do. While I appreciate the theoretical ease of selecting the grappling hook, physically moving the GamePad to aim it, and instantly letting loose, the inescapable twitchiness and sensitive motion input makes it difficult to stay on target, and as such, the intended fluidity only works in about half of its uses. Fortunately, you can turn these features off, or you can use the Pro Controller if you want a far more traditional experience without the modern hindrances and benefits. Griping aside, Nintendo's done a solid job of streamlining some of the more clanking elements of gameplay. The GamePad's touchscreen does an excellent job of presenting extraneous information, as well as making inventory management a breeze. The ability to swipe items into the action buttons at will eliminates that common Zelda problem, the constant need to pause the game and switch equipment around. Similarly, the lower screen also houses the world map, which provides similar convenience for sailing from island to island. These improvements are merely minor touches and do little to significantly overhaul the experience, but they're all welcome changes that subtly contribute to crafting a superior experience. On the subject of streamlining, some minor gameplay fixes have been made to reverse some of the game's most notorious drags. The hunt for the Triforce shards has been made far less infuriating, with most of them now available on land with only three requiring tedious ocean fishing. 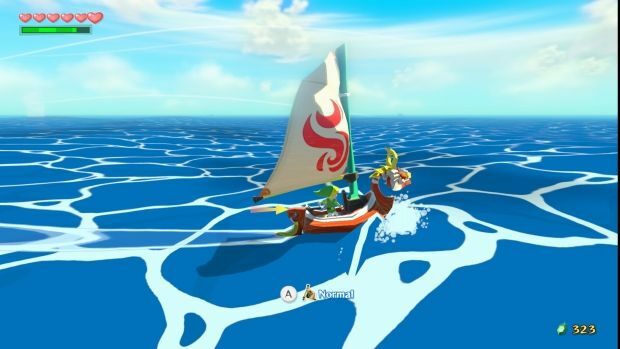 You can also wander around Wind Waker's pretty world in first-person view should you desire, but you won't be able to use all your items. Other additions include a beefed up Hero mode -- available as soon as you begin a new game -- the ability to upload Picto Box selfies using Miiverse, and message bottles. At the time of writing, this latter feature is not currently online, but when it is you'll be able to write messages that, via Miiverse, shall appear as bottled messages in other peoples' games, floating in the ocean for random retrieval. While currently offline, it's a neat little idea that ought to give Miiverse fans something extra to play with. At the press of a button, you may switch the entire game from your television to your GamePad, though obviously you'll lose the added benefits of having a permanent inventory/map screen in your hand. The controller's screen is also a subpar method of displaying how gorgeous Wind Waker is, and it's highly recommended you stick to your TV as much as possible. Most importantly, however, everything irrevocably enchanting about The Wind Waker has been preserved for this HD re-release. Its sense of color and optimism, the overwhelming eccentricity of its oceanic world, the vibrant sense of life and excitement that permeates this particular game more than any other Zelda title to date. There's something innately special lying at the heart of this one, something extra joyful that its series brethren lacks. 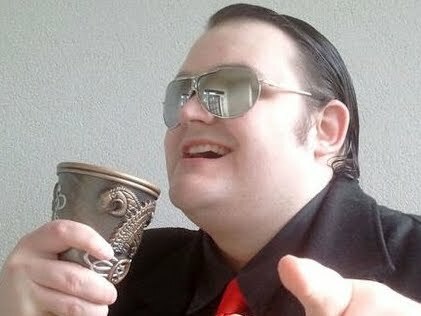 This is not to say other Zelda's aren't as good, or even better in some ways, it's just that none of them have the same magnetism in the personality department. This is why it's my favorite entry in the series, even if I couldn't quite say it's the best one. After all, in a world of greedy cartography fish and cynical French Minesweeper purveyors, how could you not keep smiling?